Jolly Harbour Villas offer spacious accommodation, great for couples, groups of friends or families, in very attractive surroundings and only a short walk from one of the best beaches in Antigua. it had everything we needed for self catering and the welcome pack was great not just a bowel of fruit but at least 4 days supply of food for us very clean three times a week at least. Location was great on the south finger so near to beach and supermarket would highly recommend this appartment, many thanks to Liam Mccauley and girls at Bo Tours. Stayed in a 2 bedroom villa on the North side. Very well equipped with aircon in lounge and both bedrooms. Beautiful outlook from veranda & patio over inland waterway. Some very large fish seen cruising off the causeway but not sharks! Rooms regularly cleaned by maid. No probs with power or water and plenty of hot water for showers. Quite a long walk from the main shopping and restaurant area but regular shuttle minibuses on hand every 30 mins or so. Comfortable walk to the beach in the morning. Quite a few of the villas are privately owned and occupied so cars occasionally a problem when walking back at night. We stayed for a two week vacation at Jolly Harbour Villas asnwas pleasantly surprised when we saw our villa. IT was so spacious on the south side of the complex. The beach was a 1 minute golf drive away and was one of the beatifullest beaches I have been on. The beach and sea is immaculate, the waters crystal clear - diffinately one of the best beaches on the island. There is a large supermarket on the complex for your own cooking and a few restaurants available. We were not too impressed with the quality or choice of the food available on the complex only English/American foods. We would take the bus from outside the complex to town for descent carribean food. The hotel satff were polite and pleasnat enough. As we went off season there was nothing available onthe complex to do especially for the children. There was a kids club but my 2 children were often enough the only ones in there. 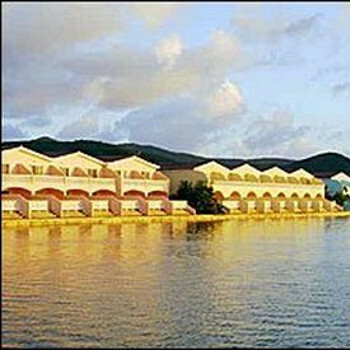 Yes we would go back to Jolly harbour Villas or Antigua only after we have visited the rest of the carribean. one of the best holidays we have ever had.